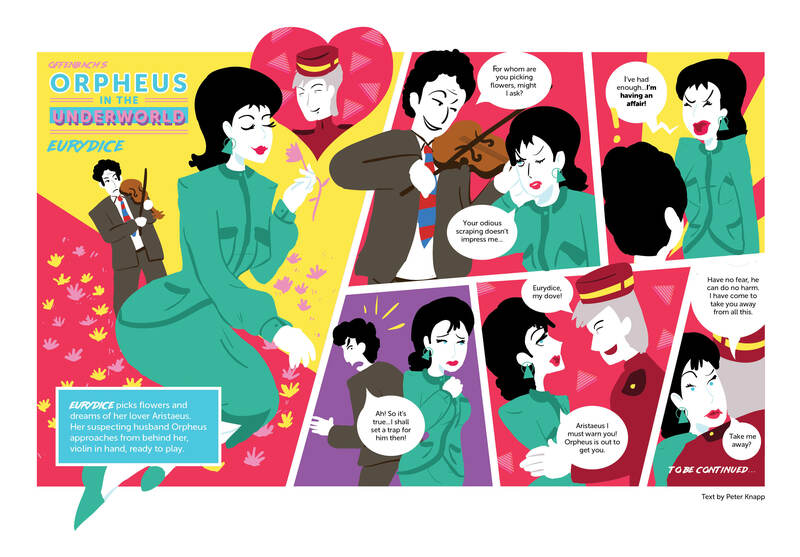 We have here a cheeky peek at the “Offenbach’s “Orpheus in the Underworld” comic. Have a look. You know you want to. This is the first comic in a series which we will be releasing during the run up to opening night. Keep an eye out for the rest.